Excellent idea. Old habits are hard to break. 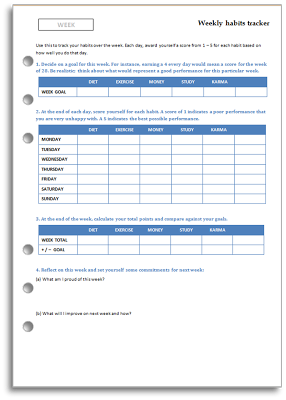 I have made tracking sheets for particular habits I'm trying to form, usually just printing out excel. I really like your professional-looking version! Thanks for this. I've converted it slightly into a weekly tracker for my daughter's physio & OT therapy.